Xerox® devices built on ConnectKey® Technology include McAfee® technology integration, resulting in the industry’s first lineup of multifunction printers that protect themselves from potential outside threats. McAfee’s whitelisting technology ensures only safe, pre-approved files or functions are executed on your devices, minimizing the need to manually update software levels against new security threats. Also, seamless integration with the Xerox® Managed Print Services toolset and McAfee ePolicy (ePO) allows for easy tracking and monitoring. Plus, automatic Cisco® TrustSec Identity Services Engine (ISE) integration provides comprehensive visibility of all of these MFPs’ endpoints to enforce IT-centric security policies and compliance. The whitelisting approach is fundamentally based on the identification of “known good” files for an IT environment and allowing only these “known good” files to execute on the system. Essentially, it’s allowing only what’s known to be good and stopping everything else that’s unknown. The default policy is to deny execution unless a software program has been explicitly added to the whitelist. Xerox Devices that do not come standard with Connect Key, McAfee or Cisco capabilities may use Hard Disk Overwrite and/or Hard Disk Encryption. Please view specifications below for each device. If you are in need of additional information you may contact us. 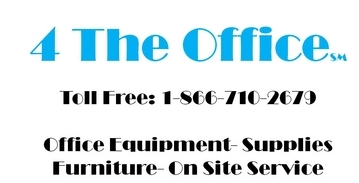 4 The Office is offering a great year end sale on all Xerox Copiers and Printers. Request your quote now and save! Use our Online Quote Builder to request your Xerox WorkCentre 3335DNI Proposal. Use our Online Quote Builder to request your Xerox WorkCentre 3345DNI Proposal. Use our Online Quote Builder to request your Xerox WorkCentre 3655 Proposal. Use our Online Quote Builder to request your Xerox WorkCentre 3615DN Proposal. Use our Online Quote Builder to request your Xerox Phaser 3635MFP Proposal. Use our Online Quote Builder to request your Xerox WorkCentre 4265 Proposal. 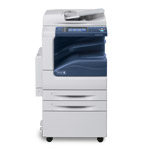 Use our Online Quote Builder to request your Xerox WorkCentre 5325/C Proposal. 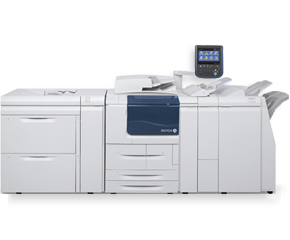 Use our Online Quote Builder to request your Xerox WorkCentre 5325/P Proposal. Use our Online Quote Builder to request your Xerox WorkCentre 5330/C Proposal. Use our Online Quote Builder to request your Xerox WorkCentre 5330/P Proposal. Use our Online Quote Builder to request your Xerox WorkCentre 5335/C Proposal. Use our Online Quote Builder to request your Xerox WorkCentre 5335/P Proposal. Use our Online Quote Builder to request your Xerox WorkCentre 5855 Proposal. Use our Online Quote Builder to request your Xerox WorkCentre 5955 Proposal. Use our Online Quote Builder to request your Xerox WorkCentre 5865 Proposal. Use our Online Quote Builder to request your Xerox WorkCentre 5875 Proposal. Use our Online Quote Builder to request your Xerox WorkCentre 5890 Proposal. Xerox-exclusive EA toner produces the highest levels of detailing, with the sharpest text and halftones, and deep, solid blacks. State-of-the-art integrated controller comes standard to control your workflow, with the option to upgrade to FreeFlow™ Print Server to step up to production-level printing capabilities. 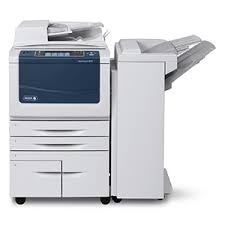 Xerox Copiers, Copiers, Repair, Service, Leasing. Proudly serving Wilkes Barre, Scranton, Pittston, Kingston, Edwardsville, Hazleton, Mountaintop, Tunkhannock, Montrose, Towanda, Wyalusing, Williamsport, Sunbury, Berwick, Danville, Stroudsburg, Mount Pocono, East Stroudsburg, Emmaus, Allentown, Bethlehem, Lehigh Valley and Easton Pennsylvania.